I am really excited to let you know that we have launched “Turmeric Product Showcase” for all turmeric products on the portal. 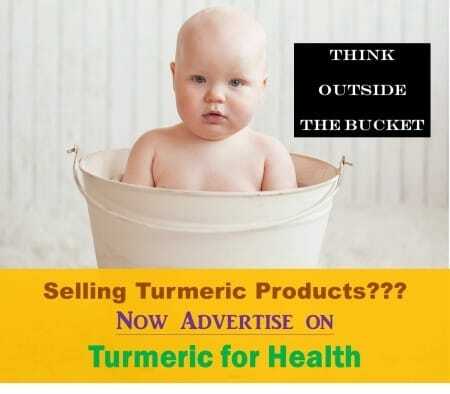 To provide readers with “factual info” on various turmeric products in the market. To provide producers a relevant platform to showcase their products to potential buyers. I am a seller, how it will work? If you are seller, it is simple to get your product up in just 3 steps. Here are details of how it will work. Step 1: Email us at [email protected] to show your interest in the program. Please add overview of your product(s) and link to website. Step 2: We will get back to you with the requirements from our side to participate in this program. We will also send what all info (specs, pics, etc.) we will need. We will also share terms and conditions which are applicable. Step 3: Once we receive all the info, it will be updated on our website and we will send you a link for the same. You can review and then finalize the content or suggest changes. Why should market on your portal? You will be able to target “absolutely precise” potential buyers for your product. It cannot get more focussed than this. People spend thousands of dollars on their marketing online but rarely get results as the focus is missing. The portal is trusted because of its top-notch info. This will extend to the products listed on the site too. Lastly, and most importantly. There is no other portal as popular as this on turmeric. With 1.5 mn visitors (and increasing) every year it is THE place to market your product. Yes! You need to have a product related to turmeric that’s all. Do I have a say in the content displayed about my product? Yes. All the facts and info will be provided by you based on the template we provide. Thus, you have full control on the factual content. Why there is a template? A set template ensures that all important info is captured well for all products. This will build trust among buyers as they will not treat your profile as marketing profile but a “genuine” product profile. This will ensure buyers come to portal again and again to look for products thus increasing chances of sale. How many days it will take to put up my page? It takes 3-4 business days. It depends a lot on how quickly we get all info from you. Yes, but they are nominal as compared to the exposure this will provide to your product to the precise users you want to target. There is no other portal on the planet more popular than ours on turmeric today. Will you charge any commission on sales? No. No plans as of now. I have multiple turmeric products, is there a difference? In that case will create separate pages for each product.